Mmm...fire. Whether it’s a rogue elementalist or a detour to the 6th Circle of Hell, we’ve got you covered. 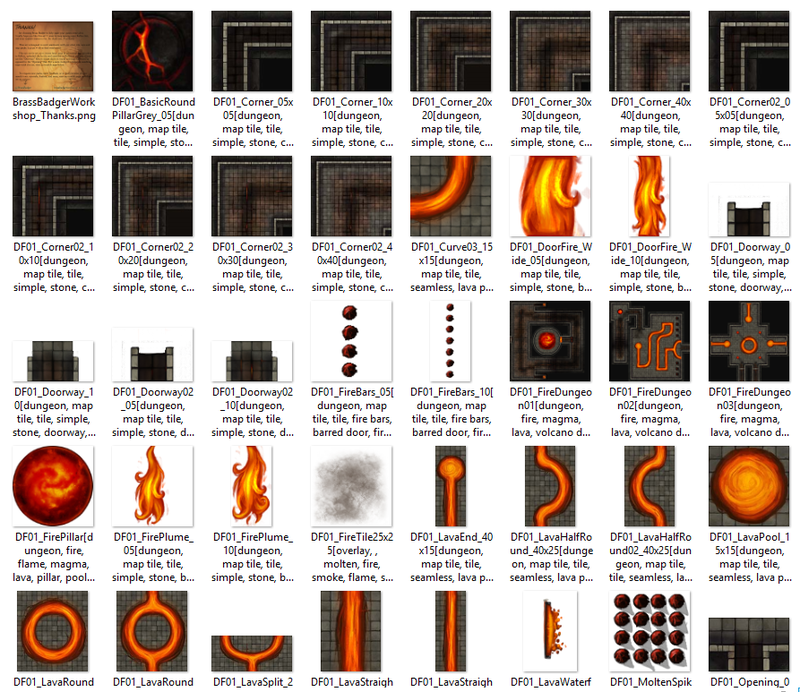 This tileset features rivers of lava, molten metal, pillars of flame, and fire doors hot enough to melt the mithril off your party. Built to integrate seamlessly with the Dungeon-o-Matic packs, you can be sure that tormenting your adventurers is as easy as drag and drop. 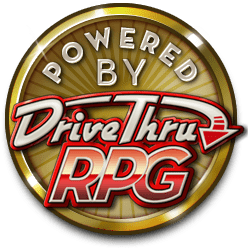 Everything here has been extensively playtested in The Workshop’s in-house games, and has already claimed the life of a brash wizard whom forgot the cardinal rule: always have an escape spell prepared. After purchase, you'll get a .zip file with all 93 individual pieces and premade maps, which are yours to mash together in your characters' travels as you see fit. The individual tiles are made to be easily drag-and-dropped together in your preferred graphics software (photoshop, gimp, etc), and then saved out as a single image for the virtual tabletop, or you can upload the zip to Roll20 and build your dungeons there. Bonus feature for Roll20: The "Your Library" section of the DM tools can be unorganized at times, each filename contains the specific dimensions of each tile needed to maintain seamless integration and reduce headaches. This title was added to our catalog on October 09, 2015.